My initial review for The Da Vinci Code was written three years ago as part of a collection review for the Langdon series, including what I thought of the other books that aren’t included in the film franchise so far. 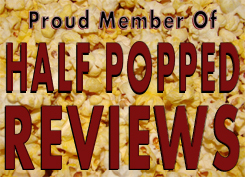 I’ve never actually given the movies their own unique review, and I should have. I’ve read all of the books other than Inferno (which I’ve only partially read up to this point…though I do own it.) The books themselves are incredible works of art with stories that deserve to be in theater…but with a book so detailed…can they actually pull it off? That’s up to interpretation – let’s get into it. The Da Vinci Code is a conspiracy thriller starring Tom Hanks as Robert Langdon, a symbologist that uncovers the greatest secret ever told that begins with Da Vinci and ends with the Holy Grail. To explain more would be to spoil – that being said, most people have seen, read, or know what it’s really about. Though, for those that don’t know, I’ll try to remain un-spoilery as possible. The Da Vinci Code is an incredible book, and still one of my favorites in terms of story, concept, and a massive amount of details backing up their claims – that’s true for any Dan Brown book. The concept itself is strong enough to warrant a movie, but any fan of the book knows they’ll never be able to captivate the details put in the book. In a sense, it’s an un-filmable story – but nevertheless something people need to see, because it’s still immensely interesting. The book reads like the most entertaining persuasive speech ever told – it’s so captivating that you, as a reader, begin to question religion and what’s true or not. That’s because Dan Brown doesn’t just use his own imagination, in a way, he also cites his material with the works of others – and everything is backed up. He didn’t come up with the concept, he just popularized it. The movie could never match up to the book, I knew that when I first saw it – but I never knew how they’d pull it off for a condensed story. Yeah, the movie is 2.5 hours long, but it feels rushed because they seem to use all the details Dan Brown did…but only the main topics without the explanation necessary. In short, the movie is convoluted because the viewer might have a hard time grasping all the historic events and figures the movie talks about – which is a lot without offering a real breather. The book made me google something or other after every chapter, the movie is just interesting. I love the fact that they made The Da Vinci Code a film, it’s not a story that deserved to be left to the pages, nor is any other Dan Brown book. I hope one day, they’ll also make The Lost Symbol, which is my favorite of the stories so far…but I’m beginning to doubt it. If you’ve never read the book, do it. This movie serves as more of a companion than anything else, but it’s still worth the watch, regardless of how convoluted the movie is. Check it out if you can, it’s currently streaming on Netflix!